For women whose breasts have lost their shape and firmness, excellent restorative results may be best accomplished through a breast lift surgery (mastopexy). A woman's body endures many changes throughout the course of her life depending on what she has experienced. Breasts are susceptible to the hormonal changes of puberty and pregnancy, weight gain and loss, and the normal pull of gravity as we age. These changes, combined with decreased skin elasticity, often cause the breasts to droop and lose their firmness and supple shape. A breast lift can raise and firm the breasts by removing excess skin and tightening the surrounding tissue to reshape and support the new breast contour. Sometimes the areola becomes enlarged over time, and a breast lift will reduce this as well. A breast lift from Wilmington Plastic Surgery’s experts can rejuvenate your figure with a breast profile that is youthful and uplifted. Breast lift surgery does not significantly change the size of your breasts or round out the upper part of your breast. If you want your breasts to look fuller, consider breast lift and augmentation. If you want smaller breasts, consider combining breast lift and breast reduction surgery.  The highly experienced surgeons of Wilmington Plastic Surgery are experts in these procedures and can help you understand the procedures and your options to achieve the look you desire.